Animal print has slowly been creeping back into fashion trends for a while now but I feel like this A/W it is quite literally everywhere and people are fully lapping it up. Being completely honest, I HATED it, for years. Not so much all animal print but specifically leopard print. It reminded me of being 14 and all the girls at school walking around with leopard print Jane Norman bags, Accessorize bow headbands and those £3 dolly shoes from Primark that lasted all of 5 minutes. I’m generally really not one to be interested or get sucked in by fashion trends. If I ever do, I’m usually about a year late and by that time it’s come and gone. I really have been loving animal print this time round though. Leopard and snake being my favourite! 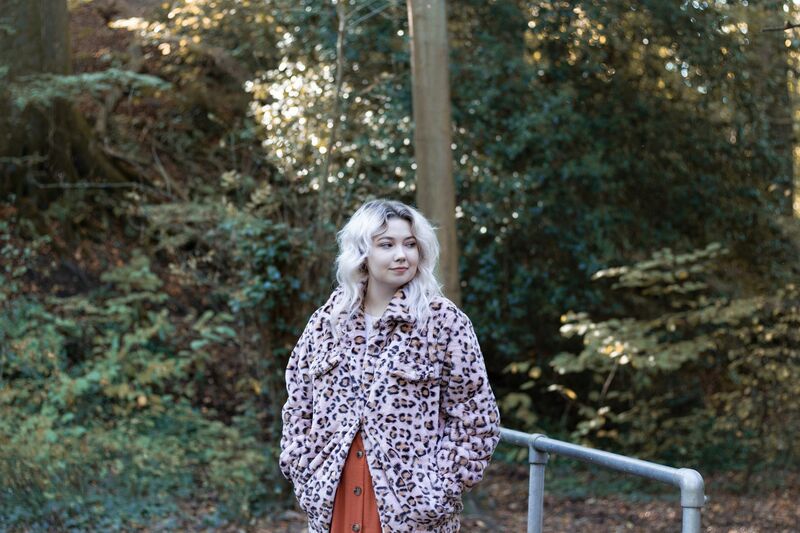 I have an abundance of animal print clothes to show you guys but today, as it’s bloody freezing now, I’ll just be showing you my favourite faux fur coats! It took me a while to decide whether this jacket was very “me” or even that nice. Part of my head screamed “tacky” when I first saw it. I think it’s definitely a piece that you love or hate. I’ve come to the conclusion that I love it, though. I think paired with the right things you can make it super cute or also look pretty punky. Admittedly, pink and brown is a pretty odd combination but in this situation I think it clashes well. It was also too warm and too damn soft to send back. I got this one from Boohoo and despite the odd combination of colours, it goes with quite a lot of different outfits. I didn’t expect it to go with this skirt at all but it might even be my favourite jacket to wear with this outfit out of the three! When I saw this coat, I just HAD to have it. It’s very rare that I wear white but I actually think I really suit it when I do. I’ve always wanted a half black and half white faux fur coat (and also hair) as I think it’d be pretty cool and different so I guess this is kind of close. It was marketed as an animal print jacket and I can only assume it’s because of the brown flecks throughout the fur but it doesn’t exclusively look like any specific print. I imagined all the fabulous outfits I could wear it with and thought how cosy I would be in it. Entering my card details had never seemed so easy. This fluffy dream is from New Look. I can’t say it’s super soft or even that warm which is really surprising and a tad disappointing but boy is it comfy. I bought this before surgery when I was averagely wearing a size 12-14. I decided to buy a 16 so that I could wear big chunky jumpers underneath in Winter. I dropped quite a bit of weight throughout and following surgery so now it literally swamps me to the point of hanging weirdly off of my shoulders and looking a little odd but it won’t stop me wearing it and rocking that yeti look. Jake hates this coat, like I think all he could think was Kat Slater when he first saw it. I don’t care though, I love it and I will rock it whenever I want. This is more like true leopard print due to the colour and style of it. I don’t actually normally like wearing shorter jackets as I’m relatively short and I feel like shorter coats makes me look a bit frumpy. However, I couldn’t find a coat this nice and for around this price in a longer style. Primark is my favourite for fashionable bargains! Although I adore the trend, I do think some retailers have taken it too far with how many and the kinds of colours they’ve brought it out in (which sometimes look a bit ridiculous). How are you feeling about the animal print trend? "Wonderful Ways To Waste Time In Birmingham!" That long coat from newlook is really pretty! I usually steer clear from it for the same reason, because I WAS one of those girls with the leopard print dolly shoes haha!